Mathematics is always difficult subject for many students and they get struggling with formulas and seeking help from teachers or friends. Nowadays there are many apps that help you to get the answers for difficult mathematical problems. 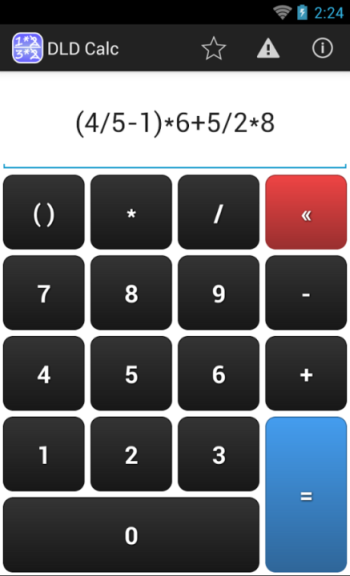 DLD Calc is a fraction calculator app for Android mobiles that solves any fraction problems. It will simplifies fractions in step-by-step calculations in the best possible way so the students can verify their problems with each steps. DLD calc looks like a simple calculator with common buttons and it differs from a standard calculator, because it will shows entire calculation with simplest steps. It's main feature is resolve fractions by steps simplifying and visualizing the operation in a practice and simple way never seen before. 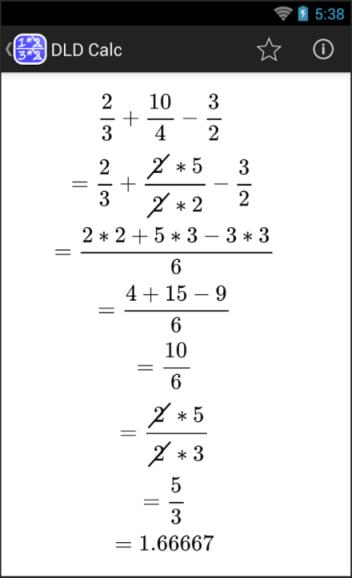 You can do all basic arithmetic calculations or complex fractions. After the typing of your problem, simply press equal button and you will get the answers in a separate page. Solve complex large fractions operations in steps. Basic mathematics, Fraction addition, subtraction, multiplication and division. It breaks the mathematical restrictions between complex calculus and its decimal numeric solution. It's not just another scientific calculator with algebraic and trigonometric operations, but an advanced integer fractions calculator. You can use it to solve your mathematics problems in your school. The interface is very simple and easy to use in your phone or tablet. The app is great for students and teachers also, it is available for free and you can download from Google Play.